I always like covering different wedding venues around Columbus. 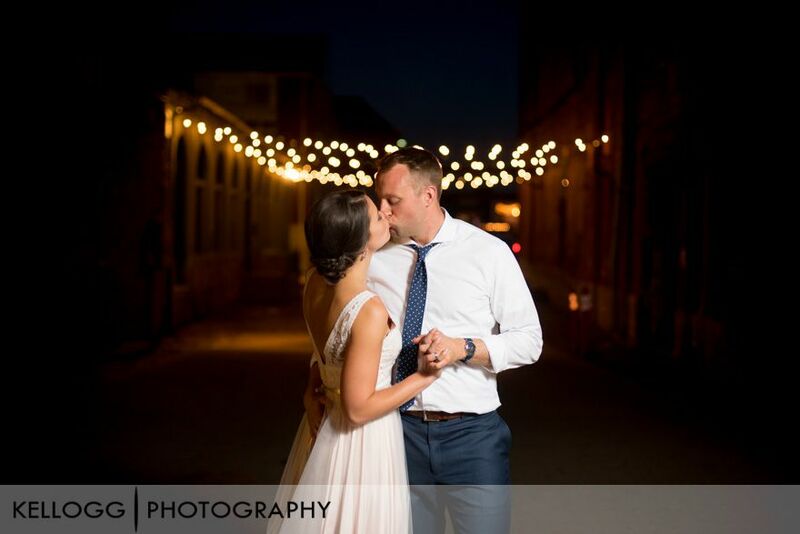 Via Vecchia is a pretty unique setup where they use the alleyway to host the ceremony. 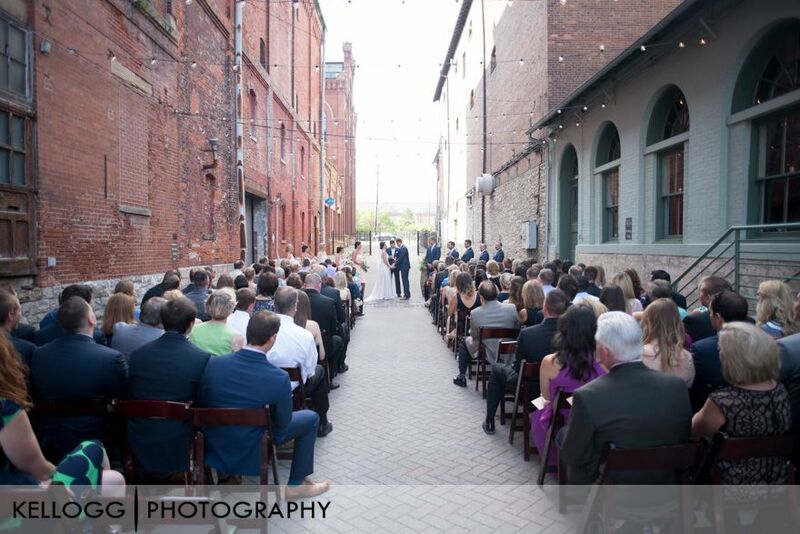 The redbrick and the rustic look to the venue is great. They also use wine barrels at the top of the aisle. The details for this wedding are great. 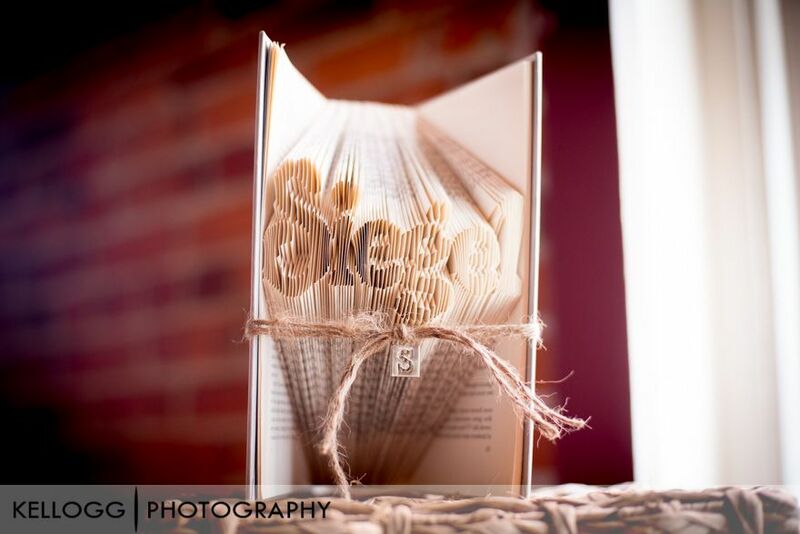 They had a book folded to spell out Matthew's last name and the florist did an amazing job. The weather could not have been better for this wedding either. We started the day at the Renaissance Hotel rooftop to get a few photos of all the guys. After that we headed to Via Vecchia Winery. Abigail and Matthew had their first look and we got started with their portraits. The first look is always nice because the bride and groom get to spend more time with family and friends during cocktail hour. Partway through the reception I took Abigail and Matthew outside for a sunset photo. The only thing was that we were in the middle of the parking lot and had no option but to take it there. I turned my flash up to full power and made the parking lot go dark and the sunset was just right. We also went to another side to get a photo of the hanging lights in the background. 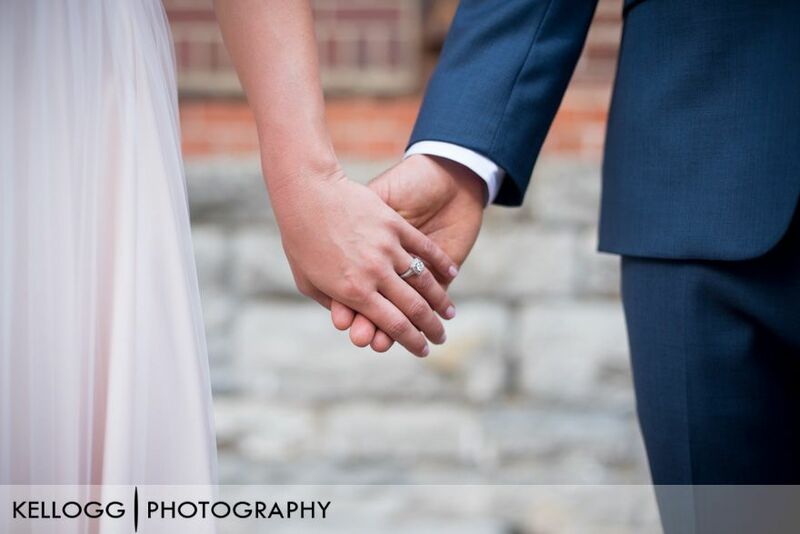 Make sure you scroll down to view some of the photos from this wedding. Congratulations Abigail and Matthew!